Anyone seen this little logo? 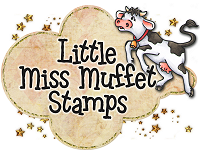 YEP its true... you are now able to buy Pollycraft stamps at Little Miss Muffet!!AND.... there are 2 BRAND NEW images available!!! Swings and Slides 'Butterflies'and Luna Bitterfrost 'Birthdays Rock' I have to admit to being just a weeny bit excited about this... I hadn't even contemplated the idea of other people wanting to sell my stuff, so this oppurtunity came as a bit of a shock! !now I can still enjoy creating new images... sit back and watch the amazing LMMS girls create projects with them... but still get to spend plenty of time with my family, and not have to worry about all the little things that were getting on top of me!!! Can you hear the sigh of relief? anyway, I don't know all the full deets, BUT I think today is release day... and Barbara also has a FABBY new release of her own, and a *special offer* too! !pop on over for all the info!! make sure you pay the lovely Barbara and her fab DT a visit.... and say hello! I think tomorrow they will be showing off some inspiration with the new stamps!! EXCITING?!?! I can't wait to see what you all create with the new digis! well I'll finish with a final...woohooooooooo!!!! yippeeeee... looks like i'm going shopping!! so glad you still get to draw and i still get to create with them!! I'm just delighted at this news! Hooray for you still being able to draw your lovely images! 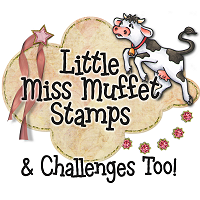 Hooray for Miss Muffet! Hip Hip Hooray!!! YAY! A match made in heaven sweet Paula! I couldn't be more pleased for you AND US!! Woooooohooooo - so thrilled for you. Huge Congrats. This is wonderful news, Paula. Congratulations on finding such a great solution. Fantastic news, so pleased for you! Terrific news and great for fans too! Paula this is FAB news ...we my daughter & I ....were already missing you...I bought all I could & broke the bank...!!! So Happy for you ...& us of course...!!! Happy Times Ahead are wished for you & your family...!!! That is such good news, I hope you continue to doodle for many years to come, I would miss your doodlings!